As Catholics, we have been blessed to live during two of the most memorable pontificates in recent history. Many people my age (late 30’s) consider ourselves the JP2 Generation and will go on to say that we are also now the B16 generation. 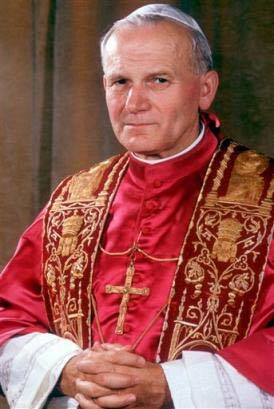 The JP2 generation extends from individuals in their early 50’s and individuals in their mid 20’s, since Pope St. John Paul II reigned as Holy Father for 26 years. His Pontificate will be in the memory of many individuals for years to come. 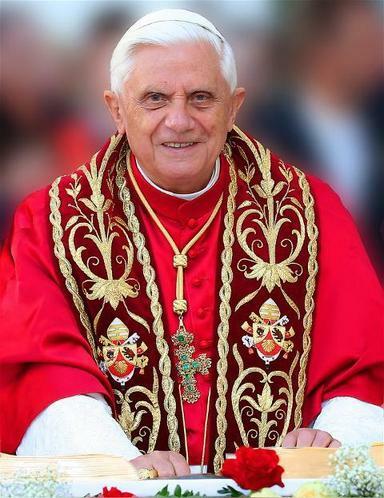 Our current Holy Father, Benedict XVI, is another amazing man of God and one that I love to read just as I love to read Blessed John Paul II. We are blessed to have Popes that are philosophers and theologians, for in history, Popes came from other fields of study. For my last blog post of August 2012, I give you one excerpt from both of these men on the Assumption of Mary. Both of these excerpts are from The Angelus. It’s been my hope that you have enjoyed these “Monday’s with Mary” on the Assumption and Queenship of our Blessed Virgin Mary. In the months ahead, I will continue to focus on her relationship with the Church. In October, “Monday’s with Mary” will focus on the Rosary. In the month of the December, each “Monday’s with Mary” will explain the Immaculate Conception. In the comment section below, please tell me if you have enjoyed these posts and offer suggestions of topics that you want to know more about regarding Our Lady. “Today the liturgy invites us to contemplate Mary, taken up body and soul into heaven. By a special privilege, she was enriched by divine grace from the moment of her conception, and Christ, who ascended to the right hand of the Father, opened the doors of his kingdom to her, first among human creatures. Now from heaven, where the Queen of the angels and saints is crowned, the Mother of God and of the Church is close to the Christian people before whom she shines as the “new and immaculate woman (who) mediated for the guilt of the first woman” (Sacramentarium Gregorianum, Praefatio in Assumpt., n. 1688). “Let us turn trustingly to her who “shines among the saints like the sun among the stars”. Mary, like a bright star, shows us, pilgrims on earth on our way to heavenly glory, the homeland for which we are bound. She reassures us that we will reach our goal if we do not tire of constantly seeking the “things of above” with living faith, certain hope and fervent love. Not only does she show us the way, but she herself accompanies us and is the “happy Gate of heaven”. May the Solemnity of the Assumption therefore be an opportunity to experience Mary’s loving presence more deeply. As a sign of sure and comforting hope she is a support and an incentive for believers to be true disciples of Christ. May everyone feel her closeness; may the suffering, the sick and all who turn to her in their difficulties and trials, especially experience her efficacious intercession. “To understand the Assumption we must look to Easter, the great mystery of our salvation, which marks the passage of Jesus to the glory of the Father through the passion, death, and resurrection. Mary, who gave birth to the Son of God in the flesh, is the creature who is most deeply inserted in this mystery, redeemed from the first moment of her life, and associated in a special way with the passion and glory of her Son. Thus, Mary’s Assumption into heaven is the mystery of the Passover (Pasqua) of Christ fully realized in her. She is intimately united to her risen Son, victor over sin and death, fully conformed to him. But the Assumption is a reality that touches us too because it points to our destiny in a luminous way, the destiny of humanity in history. In Mary, in fact, that reality of glory to which each of us and the whole Church is called. Blessed Mother, Assumed Into Heaven and now Queen of the Kingdom of God…Pray For Us!